Ah, Spring – a time of movement and awakening, and the stirring up of dirt, dust and bacteria that has settled on windows, floor surfaces and under furniture. To start the season fresh, here are some Spring cleaning ideas for your home and office building. Spring cleaning at home means putting away winter gear, which will expose surfaces where dirt and dust have been hibernating. 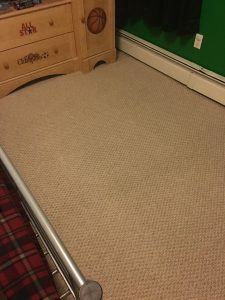 Removing salts and grime from your carpets and floors will lengthen the life of these areas. 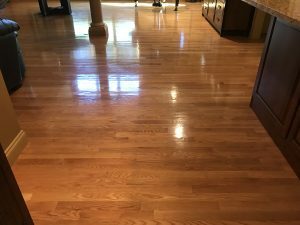 You will want to prepare your home surfaces for bare feet and limbs that warmer weather allows by deep cleaning places where germs, bacteria and allergens can grow. Commercial Spring cleaning refers to the maintenance of areas in your office or building that don’t require constant attention but do need some deep cleaning after the Winter. 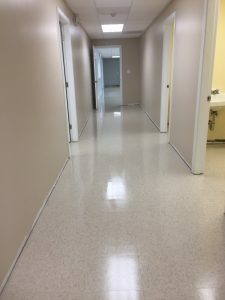 Those hard-to-reach and low visibility areas that you don’t see all the time can harbor a buildup of dirt and bacteria, and you will want to refresh and rejuvenate your facility for a new season of occupants, clients and visitors. Windows: Closed windows and Winter heating sources allow dust and residue to settle on furniture, floors and curtains and blinds during colder months. Open your windows to let the air circulate, and allow the light to shine on areas that need to be cleaned. Winter elements and substances like ice melt can cloud the outside of windows, particularly around office buildings that have constant foot and plow traffic. Be sure to wash away cloudy residues to ensure the longevity of your windows. Heavy duty dusting: Pull out the step stools and extension arms for your cleaning tools. Dust those high spots that have been out-of-sight, out-of-mind – high beams, the tops of light fixtures, ceiling corners, air returns, and tops of doors. A thorough cleaning of these higher areas will benefit the performance of heating and A/C systems. Be sure to clean AC units which can be host to lingering odors and allergies. This will maintain your system and your energy bills. Getting under furniture: Expose what’s hiding – dirt, dust, food particles and that earring or pen that you lost – under your home or office furnishings. 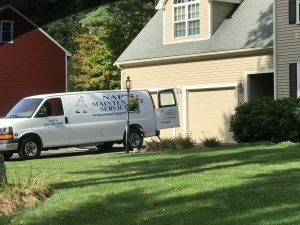 Move desks, file cabinets, and conference tables; beds, dressers, hutches and entertainment centers for a good cleaning of grime and allergens. 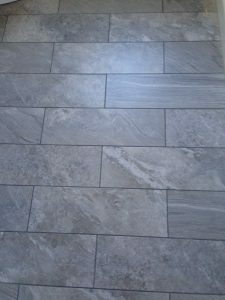 Flooring: Whether it’s your kid’s or the delivery person’s snow boots, snow, ice, salt, mud and debris have entered your home or building and on to your floors. 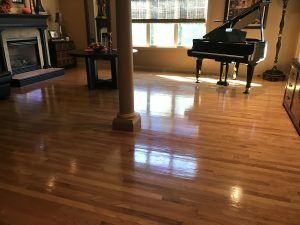 A deep cleaning of carpets, tile, wood and other flooring surfaces will breathe new life in to your floors and leave your space smelling fresh and clean. You can do a lot of this cleaning yourself, but it takes time, energy and the right equipment to get the job done effectively. 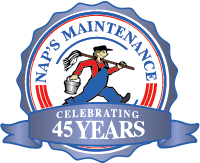 Here at NAP’S Maintenance Service, we can design the right Spring cleaning package for your house or workplace. We can professionally clean all the surfaces that need extra attention at this time of year. Contact us today to speak to one of experts about your Spring cleaning needs.